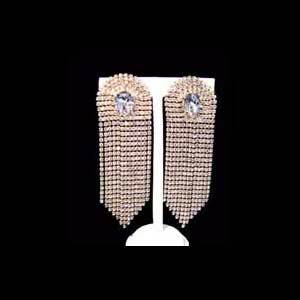 The Babushka Earrings (smaller version) These earrings are made from a diamante chain set with 4mm crystal stones. 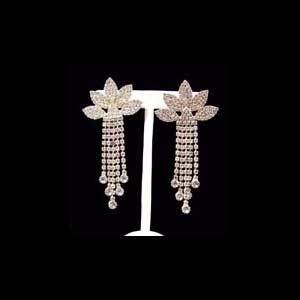 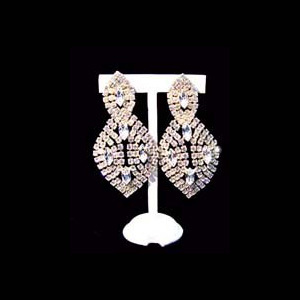 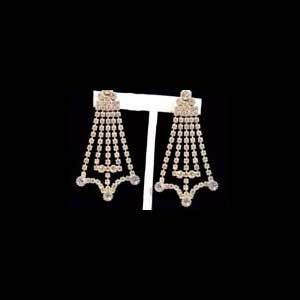 The earring is made in the shape of a navette which incorporates four 15×7 navette shaped stones in between the chain. 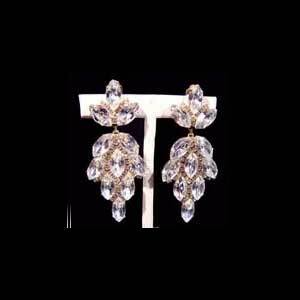 Drop of earring is 5.5cm. 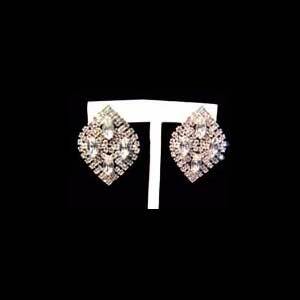 Width of earring is 4.5cm. 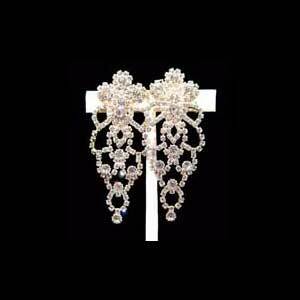 The earring has a clip fitting for fastening it onto the earl.